Costa Mesa City Council candidates Jay Humphrey and Sandra Genis both have campaign fundraisers scheduled for this weekend. Both Humphrey - a former city councilman who lost a seat to Jim Righeimer by only 47 votes two years ago - and Genis - who served our city before as a council member and mayor and will complete another four years of public service this year and is running for re-election this year - are very worthy candidates and deserve your consideration and support. Humphrey's event is at Fairview Park tomorrow, Saturday, July 9th. See the flyer below for the details. Genis' event is on Sunday afternoon at 1503 South Coast Drive. See her flyer below. 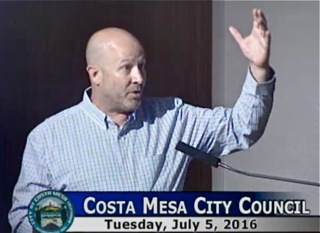 I spent most of Wednesday trying to wrap my arms around the Costa Mesa City Council meeting Tuesday night - it lasted until 12:10 a.m. Wednesday. I was so darn angry after sitting on my couch watching the meeting - my doctor says stay close to home for awhile - that I just could not even attempt to post anything... and I wrestled with it most of the day. 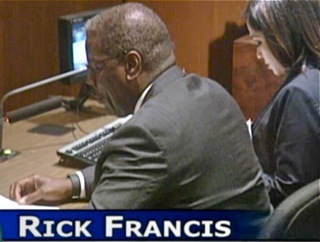 I was watching at 5:00 when the Closed Session was convened in Council Chambers. Only the male members of the council were present and, for one of the few times ever, a member of the public spoke. Alex Reich complained that there was not enough information for any member of the public to make relevant comments on the Closed Session agenda and suggested changes be made so the public has a better idea of just what the council will be deliberating on in those meetings. 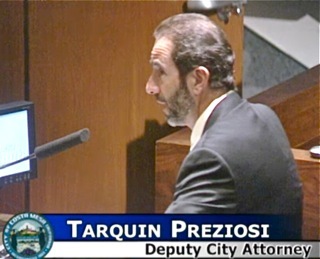 Interestingly, Deputy City Attorney Tarquin Preziosi address one of the items on that agenda in open session, indicating a settlement had been made on the Solid Landings issue - but he didn't tell us what that settlement was. Again... not enough information. 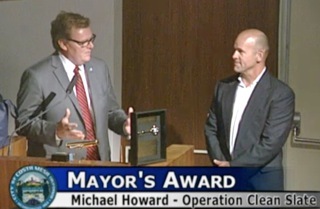 The meeting began nice enough, with a lovely Mayor's Award presentation to Mike Howard, a man responsible for beautiful murals all over our city and county. It was a good, positive beginning. 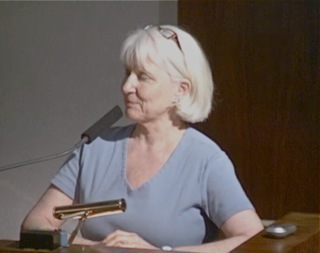 And another nice part of the evening was the kudos offered about Assistant Director of Development Services, Claire Flynn, who leaves the City of Costa Mesa on Friday after more than fifteen years of dedicated service. Katrina Foley's comments were particularly nice. 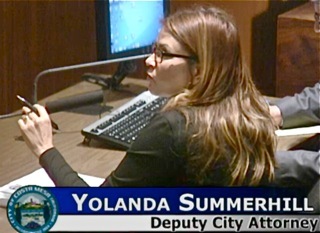 Unfortunately, the rest of the night went straight down hill from there and devolved into what may have been the worst city council meeting I've seen in more than a decade of watching them. I'm not saving the punchline for the end. Basically, the male majority on the council just gave the residents of the city The Finger on many of the issues discussed. And, they compounded that by treating many members of the public with disrespect, despite the call for decorum by an early speaker. I will not try to regurgitate every word uttered, nor will I refer to every single speaker. 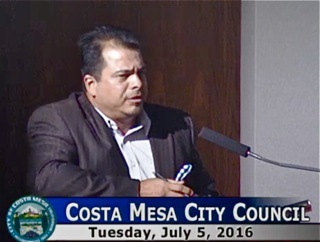 Suffice it to say that if someone asks you what the heck is wrong with city government in Costa Mesa, just refer them to the 6-hour video clip of the meeting and tell them to pick a subject and "jump to" it. You can watch the video HERE. This particular meeting provides you with a capsule of many of the wrongs with this council majority, and demostrates for us just why a change is necessary. 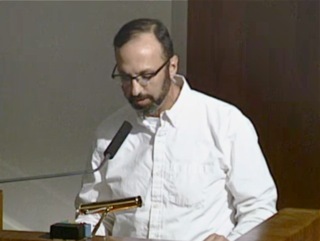 Public Comments began with Alex Reich speaking on several issues. First he addressed using potable water on city sites. 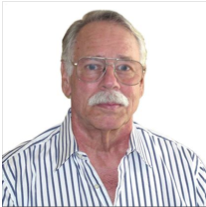 Then he continued addressing a recent occurrence he had with Mayor Steve Mensinger - an event Mensinger apparently memorialized on a Facebook page - in which he accused Reich of "photographing his home and family" during an 18 mile run he was taking. Mensinger apparently jumped into his car, sped after Reich and, while driving, took a cell phone photo of Reich running on the sidewalk. Reich was distressed by this "bullying", and cyber bullying, and the fact that the mayor was violating the vehicle code by taking a photo while driving a moving vehicle. Beth Refakes, who spoke of the change of command ceremony at Camp Pendleton for our adopted battalion, the 1/5 Marines. She also asked for a report on the July 4th fireworks enforcement, since it was like a war zone on the Eastside Monday night. Terry Koken - sporting a new hat - who told us he enjoyed the noise from the fireworks,but bemoaned the shortage of police officers to enforce our laws. He chronicled the many failed policies and practices of this council. 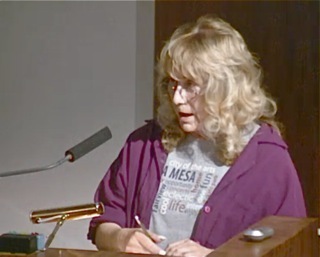 Wendy Leece said she was offended by Mayor Pro Tem Jim Righeimer's recent observation that people who come to council meetings are not "normal". She said she WAS normal - that she had raised a family, coached teams, etc, just like "normal" people do. She bemoaned the mistreatment of residents by this council majority and suggested we raise the bar on decorum. Cindy Brenneman told us about the Waves of Valor program, wherein veterans are taught how to surf by volunteers. Robin Leffler praised participative government called for a more collaborative approach by the council and, again, read past election statistics to remind us how close the past couple elections were. During Council Member Comments Katrina Foley addressed the Smart Camps with CEO Tom Hatch and, again, asked the status of our Economic Development Plan. She wants a copy of it. She also asked how much the consultant on the General Plan and EIR has cost us to date. She then went into a lengthy, lovely homage to the departing Claire Flynn. 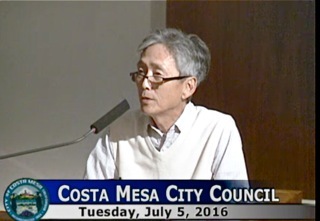 Sandy Genis addressed the use of recycled water by the city on grass and medians. She addressed a recent report of the Zika Virus in Orange County, and cautioned us about standing water. She called for an examination of our reimbursement rates for providing public safety services to the Fairgrounds, citing the problems at the recent Trump Rally. She also addressed Righeimer's recent observation that he was sad when people came to the speaker's podium and were angry. She observed that they have good reason to be angry because of the way they're treated, and called for us to treat each other with respect. 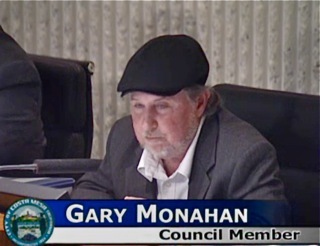 Gary Monahan, sporting a new hat, hoped everyone had a good 4th of July and concurred with Koken - he, too, liked the noisy fireworks. He told us he walked with Mensinger the other day... big deal! 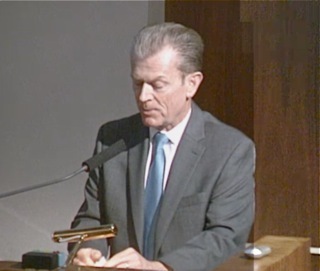 Then came Mayor Pro Tem Jim Righeimer, who began by trying to give the audience a primer on what the council does - he cited a "misperception" about what they're supposed to do and how they're suppposed to operate. He said, "I don't want to give Social Studies 101", then did exactly that! He griped about the amount of work they have to do. He griped about it being a "tough 4, 5 or 6 years because this council had to make tough decisions." He then addressed the comment made earlier about the need to be collaborative. He said "It doesn't never get you anywhere." He went on to say that running things by committees to see what they want to do isn't always the best. This, from a guy who has created more committees than the past dozen city councils combined! In fact, later in the meeting he fostered an ordinance that creates yet another committee! 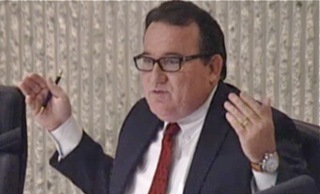 He then went off on a rant that completely misrepresented his version of "collaboration" in the past, accusing prior councils of "collaborating" on skyrocketing pension costs. He spoke about Prop. 47. He denied denigrating people and ended by saying, "Having a little bit of tension over issues is not the worse thing in the world." Really? A little bit of tension? Good grief! Mayor Steve Mensinger spoke of helping Victoria Townsend celebrate her 100th birthday. His buddy, Chuck Perry, put that bug in his ear, so he dragged a handful of senior staffers to help Townsend to celebrate. He then chided those who come to meetings to complain about issues but never walk with him or go to his meet the mayor gigs on Sundays or call him to have coffee to discuss issues. Sadly, those comments are a microcism of exactly what is wrong with this government. 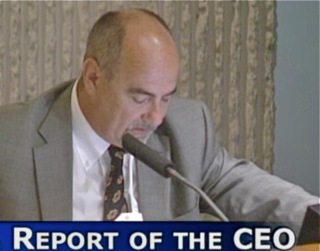 Mensinger and Righeimer think the people's business should be done in private - not in public. This is wrong, wrong, wrong in so many ways and yet they are completely clueless about it. He observed that Police Chief Rob Sharpnack and Fire Chief Dan Stefano were out and about on July 4th, helping to enforce our laws. He then launched into a rant about Alex Reich. He tells us his mother-in-law, who now lives with them, watches council meetings and sees Facebook posts about someone taking pictures of their house, then says Reich has been taking photos of him, his family and home for months and says, "If you start taking pictures of my family or my house I'll use every legal means to deal with that issue." 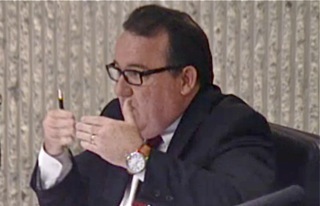 I don't know how you feel, but I think it's totally inappropriate for the Mayor to threaten a resident from the dais. At that point Reich, from the far back row, called out saying that was a lie. 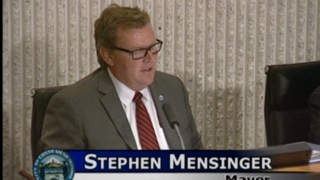 Mensinger said, "You do not attack somebody's family." Katrina Foley commented to Mensinger that he should follow his own advice. 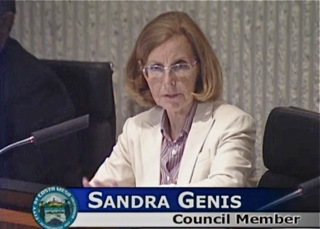 Sandy Genis then did a little riff on how it's unfair when a council member comments directly about a member of the public - who has no opportunity to respond until the next meeting. Monahan called for a break, so things stopped for five minutes. Unbelievable, and we were just getting started! Following the break CEO Hatch gave his report, indicating that the Fireworks After Action report will be available in a few days. He said approximately 60 citations were issued. More than 200 pounds of illegal fireworks were confiscated. Amazingly, no items were pulled from the Consent Calendar, so all 11 items were passed on a 5-0 vote. 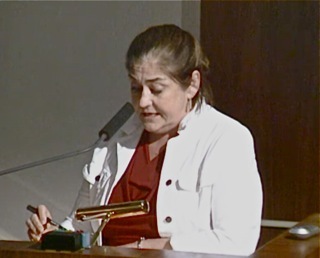 Public Hearing #1, the change in the sign ordinances to tighten-up the campaign sign issue, was discussed. Following a fairly short discussion the council passed the ordinance, 5-0 with a change to authorize signs up to 6 feet above grade and a confusing issue on banners on private property. Public Hearing #2, is the Voting by District issue, which is being forced upon us by a lawsuit. 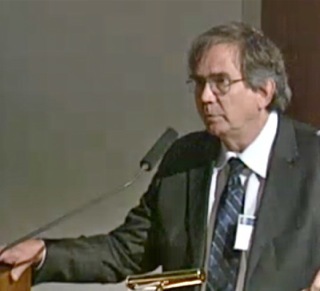 Assistant CEO Rick Francis was the lead presenter on this issue. He gave us the history of the issue, then turned it over to consultant Yesenia Arias, who gave us a summary of the meetings and the community preferences. During the discussion Genis pointed out that there is now a special meeting scheduled to address this again on July 12th, instead of the previously published August 2nd date. She wrestled Francis for an answer about the change. It turns out that a member of the council is not available on August 2nd, but nobody would fess-up to being that person, so the scheduled Study Session suddenly became a Special Council Meeting. Foley also expressed concern about the special accommodation for "someone up here on the dais", when no such accommodation was made for her absence when the General Plan was approved. Then demographer/consultant David Ely, who went through the process and the history of the construction of the maps presented as part of the staff report. In a nutshell, there were two (2) maps with five (5) districts; one (1) map with six (6) voting districts which would also require a directly-elected mayor and onee (1) seven (7) district map. Each created a predominently-Latino voting area. During the many meetings - I attended each - there was NO support for the 6-district model with the directly-elected mayor. Almost every participant chose one of the two 5-district models. 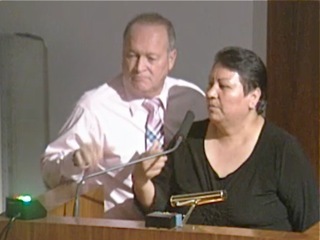 Sixteen (16) members of the public spoke on this issue, including Juana Trejo, who used the services of the translator. None supported the 6-district model. The City Council majority gave zero credence to the hard work that had been done by the consultant - he recommended Map #1, a 5-district model - and the community members who participated in the process. Righeimer spit directly in the eye of the public by moving the 6-district option - the least popular, by far. He proposed a term limit on the mayor of 2, 2-year terms. His reasoning was vague, but his motive was clear - to provide a way for one of his pals to become mayor for life. This option will likely get very little community support at the election. If it fails - a VERY strong likelihood - then the lawsuit will be reinstated and eventually a judge will decide our voting districts. 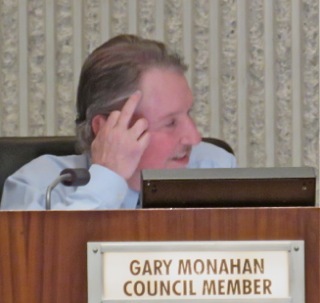 Monahan has long championed a directly-elected mayor, so he supported the issue. Mensinger, curiously, said he's not in favor of the "balkanization" of the city, but supported Righeimer's motion. 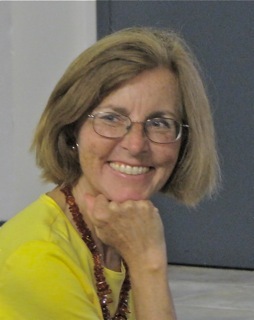 Foley offered a substitute motion, choosing Option #1, a 5-district option, but added to her motion a mandatory rotation of council members as mayor. That was defeated, 2-3, with the majority voting against it. The original motion, for the 6-district model with directly-elected mayor with 2, 2-year term limits, to be considered for a final vote on July 12th, passed 4-1, with Foley voting no. And the sputum from Righeimer's spit ran down the cheeks of the residents of this city. MEDICAL MARIJUANA - DOES IT REALLY COMPETE? Old Business #1, is the City initiative on Medical Marijuana that - in theory - competes directly with the two other initiatives already scheduled to be on the ballot. 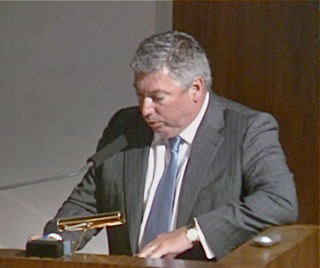 Deputy City Attorney Tarquin Preziosi made the presentation. This is a strange one, because it's hard to see how this competes with the other two since is has NO sales of marijuana included in it. 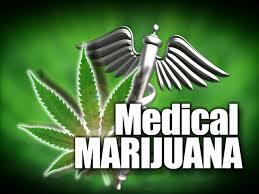 It only deals with manufacturing, testing and distribution (not end-user sales) of medical marijuana products. It's all very curious. A better choice may have been a tweeked version of Monahan's proposal from two years ago. This issue has a 6% tax on gross sales and restricts any such businesses to a specific corner of the city - north of the 405 and west of Harbor Blvd. I have this vision of truckloads of weed being transported from growing grounds to the north part of our city for processing and testing. I wonder about the aroma of this processing in the residential neighborhoods nearby. Nine (9) members of the public spoke on this issue, including the sponsor of the 8-dispensary initiative and the lawyer who prepared one of the other initiatives - he didn't say which. Righeimer told us that the 8-dispensary sponsor is supporting the city issue and the 4-dispensary initiative has not even entered a ballot explanation. When the vote was taken, in several segments, the council voted this ballot measure with a change to prohibit such businesses within 500 feet of Moon Park and changing the age for folks working in those businesses to 21, from 18. That passed, 5-0. The second motion, items 2 a and b on the staff report, passed 4-1, Foley voting NO. 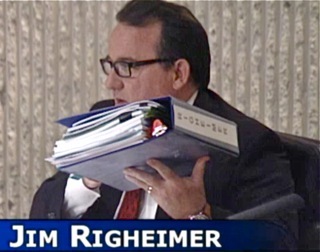 The third motion, to authorize Righeimer to prepare ballot statements, passed, 5-0 and the staff asked for direction on possible informational mailers. Righeimer suggested three, Mensinger seconded it and the vote was 3-2, with the male majority carrying the vote. Each of those mailings will cost the taxpayers $8,400 to promote marijuana businesses in our city. Just great! Old business #2, is the consideration of the Fairview Park initiative which the Fairview Park Preservation Alliance qualified for the ballot. The staff report describing the impact is included and the usual series of motions to place the initiative on the ballot are part of this process. Also discussed was an alternative - a competing - ballot measure. I'll call it the Anti-Protect Fairview Park initiative. The council voted to place the issue on the ballot on a 5-0 vote. Righeimer and Mensinger will collaborate on an argument AGAINST the issue, which passed 4-1, with Foley voting NO. The final item considered was whether or not to have staff create a competing measure. Righeimer moved to have that happen, with Mensinger seconding it. Righeimer said the current initiative would prohibit completing the existing Master Plan. There was a lively discussion about that. The motion passed, 3-2, with Foley and Genis voting NO. 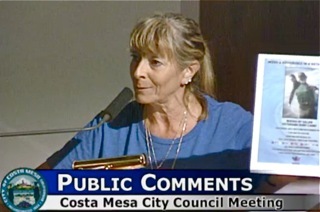 Again, Righeimer hocks another goober directly in the face of Costa Mesa residents. 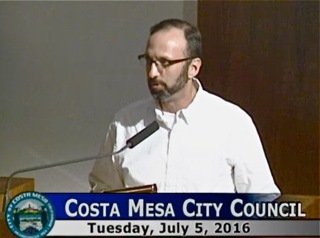 Next was Old Business #3, the city-sponsored initiative to compete directly with Costa Mesa First's Smart Growth Initiative. Special Counsel Patrick Munoz made the presentation. The actual title is long but it includes the word "Sensible", to create confusion in the minds of the voters. 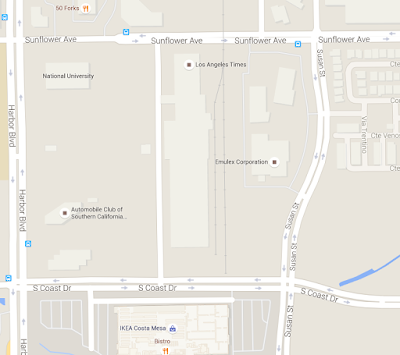 It also includes a $1.50 per square foot fee on developments north of the 405 and West of Fairview Drive. It also ratifies the General Plan and EIR and affirms existing projects. AND, it creates yet another special committee to advise the council on the use of the monies received from that fee. It's another stacked committee, with the clear emphasis placed on youth sports organizations. Five people spoke on this issue, and one, Cynthia McDonald, provided her own title for this inititiave - the Deceptive Developer Initiative. That seems about right. She also observed that the law firm chosen - Rutan and Tucker - had written controversial anti-environmental laws in the past. She called it a smoke screen. She told the council you can't fool all the people all the time, and they didn't even come close on this one. Righeimer moved the staff recommended initiative and Monahan seconded it. 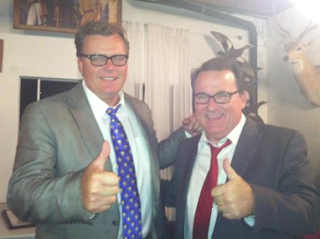 He then launched into another rant about how the signatures on the Smart Growth Initiative were gathered fraudulently. And on and on. Genis asked how this initiative locks in the 25% open space at Fairview Developmental Center. Munoz said it doesn't. Righeimer said he thought it did. Genis said she won't support it because it's a multi-purpose initiative, despite Munoz' assurance that it's not. She's also not comfortable that it assures the recently-approved pro-developer General Plan. She said, "This is just baloney", designed to confuse the voters. This initiative ratifies the flawed General Plan and creates yet another committee stacked with cronies. I've lost track of how many of those organizations these guys have created over the past 5 years. Foley said she won't be supporting the motion. She said the use of "sensible" is misleading. She said the General Plan is NOT sensible. She observed that there is no willingness to compromise on developments. She said "Everything about this situation just reeks of a lack of trust and respect for the community." Righeimer amended his motion to lock in the 25% of Fairview Developmental Center as open space. When it came time to vote to place this issue before the voters Foley and Genis voted NO. They also voted NO on the accompanying issues which places the item on the consolidated ballot. They voted with the majority on the issue of who writes the arguments. Righeimer will write the argument for and Genis and Foley will collaborate on the argument against. They also voted a resounding NO on spending $8,400 each for three mailers promoting this initiative. Genis called it unconscionable. And the final giant wad of sputum hit the residents of the city square in the face. Finally, the last item on the agenda, a General Plan Screening request for part of the Emulex property at 3333 Susan Street came up. 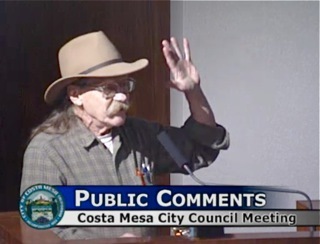 Former senior city staffer Don Lamm, now a consultant for developers, was the spokesperson on this issue. It only took twenty minutes for this item to be heard and the council voted, 4-0, to move it forward. Monahan had disappeared. As the meeting ended I was just furious at the way the council majority so cavalierly ignored the will of the people on so many issues that evening. 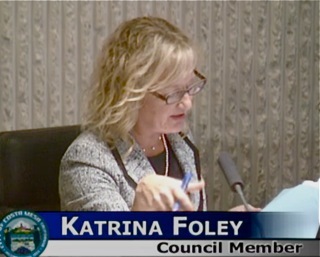 Katrina Foley nailed it when she referred to a lack of trust and respect for the community. The voters will be faced with a dizzying array of issues on the ballot this November, and their mailboxes will be swamped with political garbage - much of it generated by the City with our own tax dollars, to fuel the confusion created by the "competing"initiatives generated by arrogant, petulant politicians who simply refuse to listen to the people. At this meeting alone the majority authorized more than $75,000 in political crap to be distributed to you! As the summer passes and we begin to see this "information" hit our mailboxes I will remind you of what's at stake. 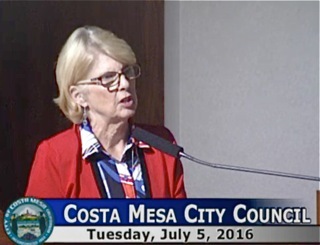 The Costa Mesa City Council meets for the first time in this fiscal year tomorrow, Tuesday, July 5, 2016 beginning at 5:45 in City Council Chambers at City Hall. They have a full agenda to consider, with more meat on it than most. Read it HERE. Before we get into the agenda a little reminder. From 4:30-5:30 in Conference Room 1A there will be an Open House at which the Voting Districts created by consultant David Ely as a result of consultation with council members and several workshops with residents will be on display for your consideration. Ely is an easy man to understand and has all the answers, so please make it a point to attend this Open House so you can understand the issues and how he arrived at the various map choices he will present to the council later that evening. The regular meeting will be preceded by a Closed Session at 5:00. The public is NOT invited to these meetings. 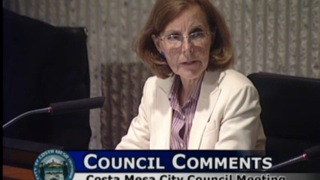 There are three items on the agenda for our litigious council majority to consider - The Kennedy Commission case involving the Costa Mesa Motor Inn; existing litigation with Solid Landings and others and anticipated litigation - nothing new there, it seems like we always have "anticipated litigation". The Consent Calendar has eleven (11) items listed. As you know, in theory these all can be considered as a group and voted upon without discussion. That seldom happens anymore. If anyone - a council member, staff member or member of the public - pulls one for discussion it will be trailed to the end of the meeting. History shows us that about half the time the council manages to out-wait residents, who just get too tired to wait until midnight to discuss some of these items. The only one that caught my eye this time is #11, HERE. This is a professional services contract for planning consultants, not to exceed $199,000. If you read that staff report you'll find the need is due to a high-level vacancy - an Assistant Director (Claire Flynn?) 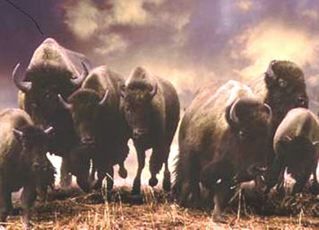 - at a time when the city sees before it a stampede of sober living-related issues. It's going to be a long summer! Public Hearing #1, HERE, is a change to segments of the municipal codes regarding portable signs, and is primarily aimed at campaign signs. It re-defines them as "non-commercial portable signs", and changes the restrictions on their display. 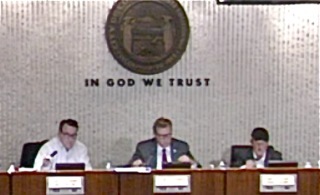 If the council approves the staff recommendation such signs may be displayed for six weeks prior to an election. Read the staff report. Public Hearing #2, HERE, is the aforementioned District Elections Mapping Process. Consultant David Ely will present to the council a report on the methodology of his creation of the four (4) individual maps for the council's consideration. 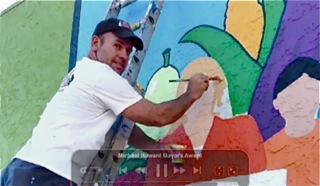 His efforts are a result of many meetings with very small groups of individuals plus a series of four (4) community workshops attended by just over 100 individuals in total. He will present two (2) five district maps; one (1) six district map (which also requires a directly-elected mayor) and one (1) seven district map. 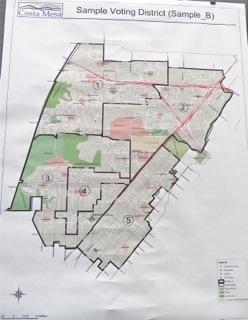 The council MUST select one map to be presented to the voters in November based on a settlement agreement of a lawsuit. Read the staff report. Each of the maps is part of one of the attachments, HERE, and includes all the numbers of how the map was formed. Old Business #1, HERE, is the consideration of the City Initiative Ordinance Regarding Medical Marijuana Businesses. This is intended to be an alternative to the other two Medical Marijuana initiatives that will appear on the ballot in November. It defines the kinds of Medical Marijuana businesses that may operate in the city, and where, specifically. Old Business #2, HERE, is an interesting issue. This one asks the council to authorize the placement on the November ballot the initiative generated by the Fairview Park Preservation Alliance - they MUST do this. There are several resolutions for them to consider. However, item number 3 under Recommendations says: "Provide special council with direction on an alternative measure to be placed on the November 8, 2016, ballot." In the staff report there is an analysis that implies that the existing initiative would basically prohibit many of the elements in the current Fairview Park Master Plan from being implemented without a vote of the people. So, the staff recommends an alternative measure - for the sake of simplicity I'll call it the "Anti-Protect Fairview Park" initiative" - which re-defines the issues that would require a vote of the people. I have no idea what the reaction will be from the sponsors of the original initiative, but I suspect we'll be hearing from them Tuesday. Read the staff report. Old Business #3, HERE, is another doozy! This is a "Proposed City Council Sponsored Measure Addressing Future Development And Development-Funded Open Space And Recreation", and is designed to directly compete with Costa Mesa First's Smart Growth Ordinance, which will appear on the November 8th, 2016 ballot. They're calling this one the "Measure for Sensible Community Development and Development-Funded Open Space and Recreation." If adopted this measure would protect most of the pro-development plans already in place, including the recently-approved General Plan. See the staff report for specifics. 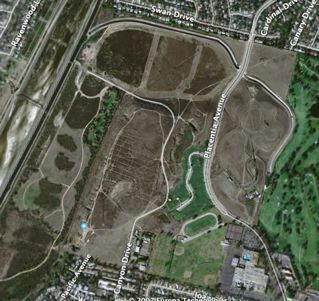 If adopted it will impose a fee - the Open Space and Public Park Impact Fee, which would be applicable to all new development north of the 405 Freeway and West of Fairview Drive. 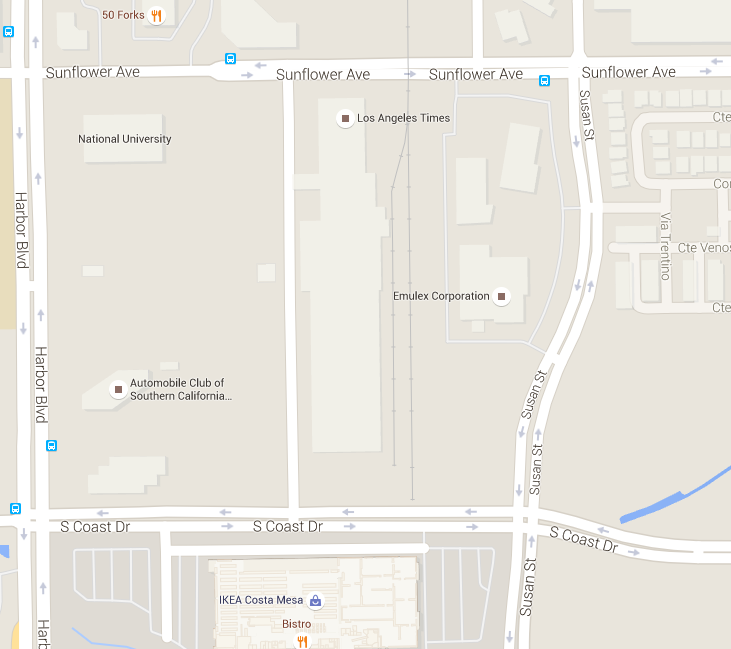 Coincidentally, this is precisely where the proposed Medical Marijuana businesses would be located. Imagine that! The term "stacked deck" should immediately leap into your head. The staff wants authorization to proceed with the proposed initiative, put it on the ballot and direction on how many mailers at $8,400 per shot to authorize to publicize this effort. Finally, New Business #1, HERE, is a General Plan Screening request for the Emulex Property at 3333 Susan Street. Gee, by golly... Guess where's that's located? STEP UP AND SPEAK UP! Oh, yes... I will not be attending this meeting... still sorting out this darn health thing. I'll watch and report, one way or the other. In the meantime, you SHOULD attend and ASK QUESTIONS! Don't let them intimidate you!